Since it first rolled off the production line for the 2008 model year, the Honda Fit has delivered a winning combination of sporty design, fun performance, and a consistent lineup of advanced connectivity and safety technologies. The new 2019 Honda Fit offers even more of what small car-drivers love without a corresponding rise in price. If you’re looking for a small car that delivers big on fun and overall value, it’s time to get excited about the new 2019 Honda Fit. 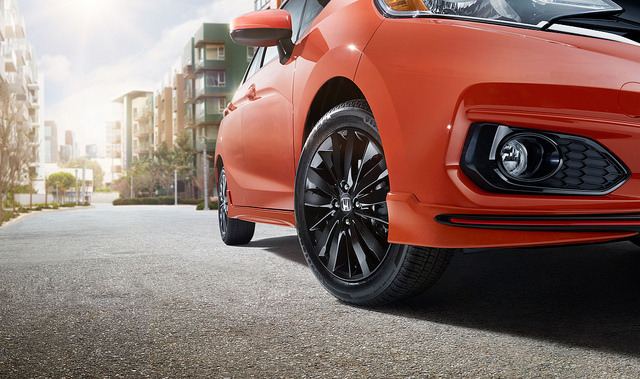 The 2019 Honda Fit offers sporty style in a city-sized package that is both easy and exciting to drive. With standard LED taillights, striking automatic headlamps, a lift gate spoiler and a smartly chiseled body, the 2019 Fit is equal parts sophisticated and flashy. Packed with over 40 standard and available technology features, the 2019 Honda Fit ensures every drive is just as safe as it is exciting. A color touchscreen audio interface with Apple CarPlay™ and Android Auto™ compatibility offers seamless connectivity while available Honda Sensing safety technology suite offers added confidence behind the wheel. Get behind the wheel of the exciting new 2019 Honda Fit with a test drive at Hardin County Honda!